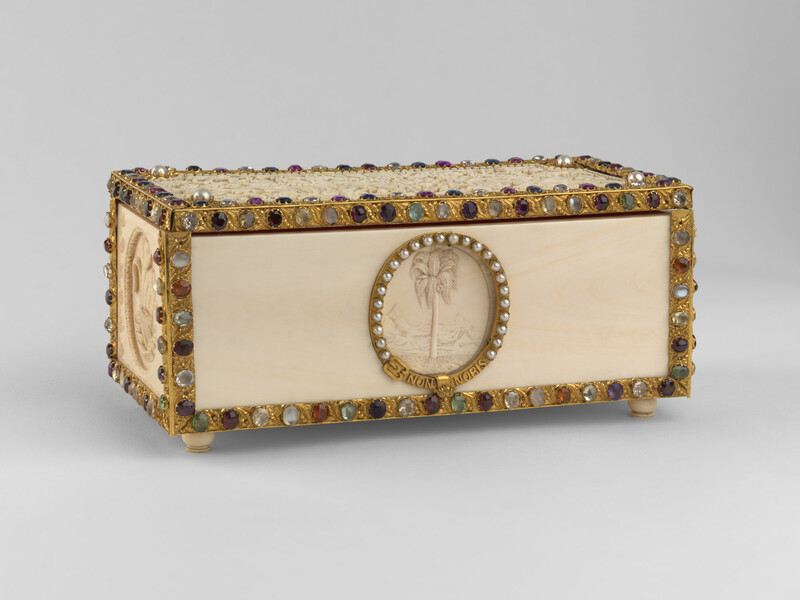 An ivory casket edged with a chased gold border set with gemstones. The lid carved with foliage and embellished with four pearls in each corner. The sides of the box carved with the Prince of Wales's Coat of Arms and feathers. The front carved with palm tree enclosed in a gold border resembling the garter belt and inset with pearls. The box contains samples of spices typically grown in Sri Lanka such as areca nut, cinnamon and vanilla and a gold tablet engraved on both sides with an 'Address of Welcome' in English and Sinhalese.